zecustomer is our web based Customer Relationship Management System that can help your business develop profitable customer relationships by increasing sales and marketing performance and maximizing customer satisfaction and loyalty. It's about understanding, anticipating and responding to customers' needs. This web based solution allows both non-technical users and IT professionals, to create and update contact’s information, create marketing campaigns, manage opportunities and a lot more at any time and from anywhere. What is required is a web browser so as to log into the system through the zeportal management console. The tree based menu offers better and easier navigation. Multilingual support is also provided while creating marketing campaigns giving you the freedom to contact international users using their regional language. zecustomer allows you to manage contacts, companies, marketing campaigns, sales opportunities, customer contracts, resources, and support services offering a centralized repository of valuable information about your customers. 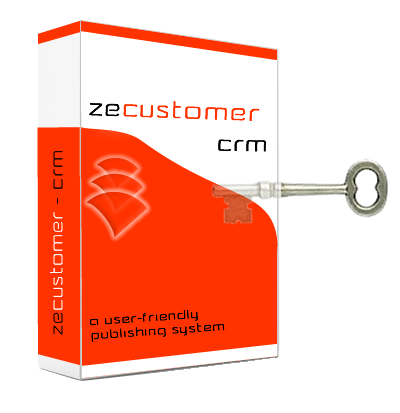 zecustomer is an optimized and secure tool that provides fast and reliable management of content. It offers high security both at IP and users levels. More specifically, the application can perform a check of the source IP address of the user and after a successful validation, the login page will appear. In order to log into the system, the users must enter the correct credentials to gain access. An additional feature which adds value to zecustomer, is related to users management. The system supports the creation of various user groups / roles which can be assigned certain permissions, allowing with this way the control of the actions to be performed. When the user logs into the system, date and time are recorded, allowing the administrator to audit the various actions taken. Any transactions associated with the creation or modification of contacts or companies are recorded accordingly. zecustomer is fully managed through zeportal management console allowing integration with zecontent (content management system) and zecommerce (electronic commerce system). 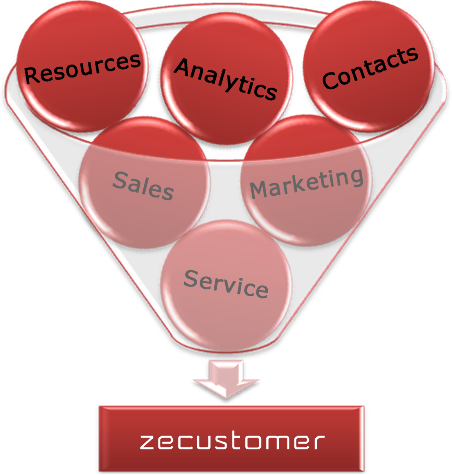 Finally, zecustomer can also be integrated with ERP systems offering the possibility to send and receive data as needed. For further information on zecustomer or for arranging an appointment with our consultants please call at +357 22028128 or send an email at info@zebrac.com.